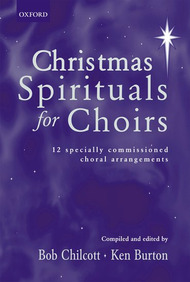 Christmas Spirituals is a fresh and inspiring collection of new spiritual arrangements and orginal pieces in a gospel style for SATB groups of every size and ability. All the best-loved spirituals are here including "Mary Had A Baby", "Go Tell It To The Mountain" and "Rise Up, Shepherd and Follow", whilst the new songs are sure to become tomorrow's "classics". Together, the 12 pieces represent a wonderful diverse telling of the Christmas story to delight and inspire choirs and their audiences throughout this season of the year.